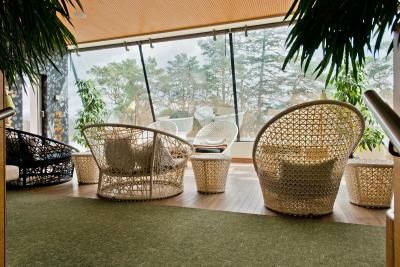 Lock in a great price for SPA VILNIUS Druskininkai - rated 9.3 by recent guests. SIZE OF ROOM. SPA AREA, BREAKFAST. The location of hotel is really good, walking distance to centre, no traffic around. Parking was well organized. Fantastic customer service and value for money. Received fantastic hotel surprise - bottle of champagne, chocolate and birthday greeting card! 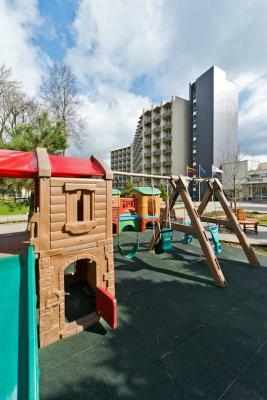 Great properties for leasure time. Very comfortable for families with children. Everything was great. Hotel is clean, cosy, has a nice pool and the staff is friendly and welcoming. Thank you! Perfect place to stay at Druskininkai! Very good location, a lot of SPA offers inside the building with no need to go outside. I've stayed several times now at Spa Vilnius. Each stay, I see improvements in several areas. This time it was the main restaurant, which upgraded the breakfast and meal options. I appreciate staying at the hotel for the excellent spa service and facilities. We were clients for about 10 years. But i think this is the last time here. The food was really good and bar and restaurant. They have glutenfree, green coctails, honey and etc. And Espa cosmetics in the room is nice. Perfect place to escape from routine. Third visit here and definitely visiting again. Staff is exceptionally nice,professional, friendly and helpful. The beds were comfortable. Very quiet. Staff was very friendly. Abundant breakfast. 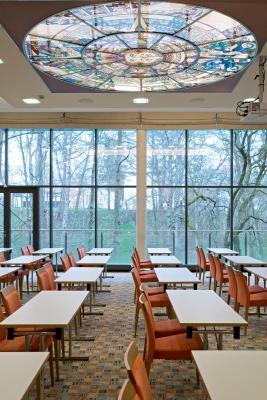 The 4-star SPA VILNIUS Druskininkai hotel is located in the centre of Druskininkai, Lithuania’s popular spa resort. It features spa facilities and elegant rooms with a balcony and a flat-screen TV. 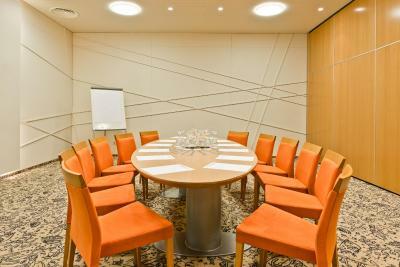 All rooms at the SPA VILNIUS Druskininkai are decorated with stylish furniture and warm tones. Each comes with a private bathroom with bathrobes. Some offer a seating area. 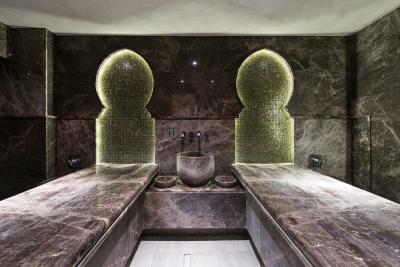 The spa offers an indoor pool with mineral water, saunas and a selection of body and facial treatments. Front desk staff is available 24 hours a day and can assist with bicycle rental or laundry service. 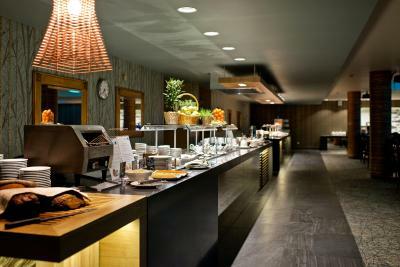 A buffet breakfast is served at the hotel restaurant, which offers international dishes. 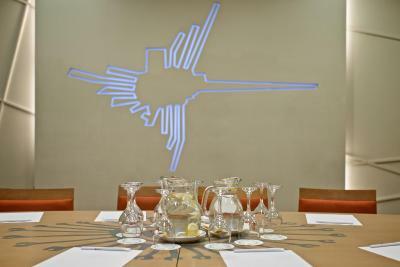 The Café Bar Atlantida serves a variety of drinks and snacks. SPA VILNIUS Druskininkai is situated next to the Druskininkai’s pedestrian promenade. Free on-site parking is provided. 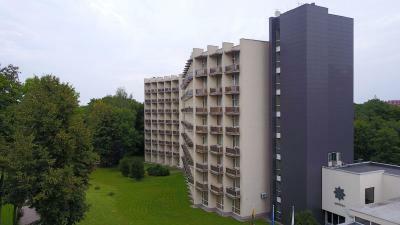 This is our guests' favourite part of Druskininkai, according to independent reviews. 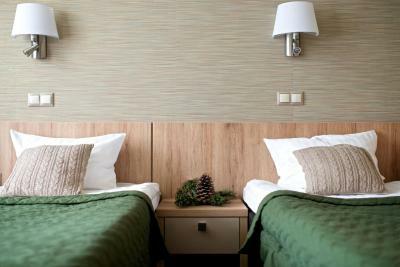 SPA VILNIUS Druskininkai has been welcoming Booking.com guests since 27 May 2010. When would you like to stay at SPA VILNIUS Druskininkai? A room with a balcony and a bathroom with a shower, bathrobe, slippers and a hairdryer. There is interactive TV. No extra beds and cots available. An air-conditioned suite consisting of a a bedroom and a living room. It comes with two balconies, a safe, a sofa and a mini bar. Bathroom comes with heated floors, a shower, bathrobe, slippers and a hairdryer, as well as free toiletries. There is interactive TV available. This spacious, individually decorated and air-conditioned suite consits of a living room with a kitchenette and a bedroom. It comes with a safe and a mini bar, as well as a balcony. Bathroom comes with a bath, bathrobe, slippers and a hairdryer, as well as free toiletries. There is interactive TV available. This air-conditioned family suite features two bedrooms and living room, as well a balcony. 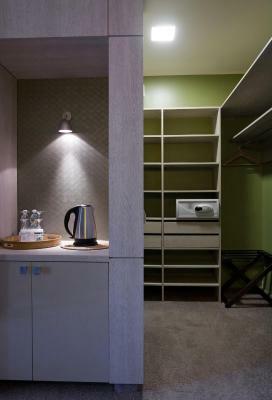 There is a safe, a sofa, a mini bar and an electric kettle. 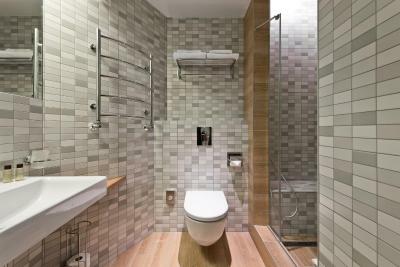 There are two bathrooms with heated floors, one featuring a bath, and the other - a shower. Bathrobes, slippers and a hairdryer, as well as free toiletries are available. There is interactive TV available. This air-conditioned studio comes with a safe and a mini bar. 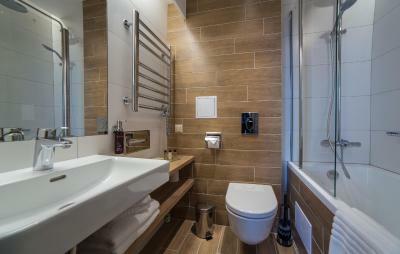 Bathroom comes with heated floors, a shower, bathrobe, slippers and a hairdryer, as well as free toiletries. There is interactive TV and a sofa. Complimentary bottle of mineral water is available upon arrival. This double room has a balcony, electric kettle and bathrobe. No extra bed or baby cot is available in this room type. This studio features a balcony, minibar and air conditioning. This double room has a cable TV, minibar and sofa. SPA VILNIUS Druskininkai is a health resort offering wellness and medical treatments, accommodation in a 4 star hotel, SPA bar with a special SPA menu, restaurant, entertainment centre, winter garden and a large conference centre. SPA is set in the centre of the oldest and largest Lithuanian resort – Druskininkai, which is situated on the bank of river Nemen. Because of the forests and lakes surrounding the resort, climate here is always mild and warm, air is pure and one of the cleanest in Europe. The old treatment traditions are still preserved here: procedures with mineral water, mud, physiotherapy and vertical baths. Next to SPA VILNIUS, just a short walk away, there is a wellness park, Ratnyčėlė rivulet and promenade leading towards the town centre. Guests are always welcomed with warmth, surrounded with attention from the staff, which fulfills every need and desire of the client. 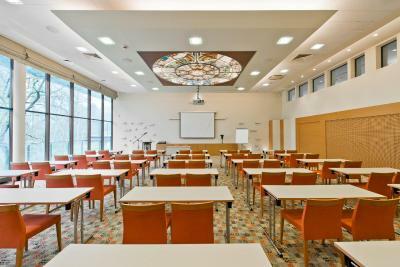 SPA VILNIUS Druskininkai hotel offers the amenities found in 4-star hotels in all of the EU countries. 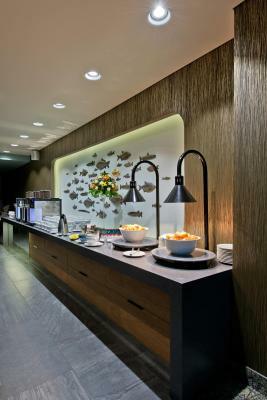 The hotel building is simple yet elegant: functional Scandinavian-styled interior with natural materials, prevailing pastel colours, and diffused lighting creates calm, relaxing atmosphere. House rules SPA VILNIUS Druskininkai takes special requests - add in the next step! SPA VILNIUS Druskininkai accepts these cards and reserves the right to temporarily hold an amount prior to arrival. Please note that it is strictly prohibited to smoke on the premises. 100 EUR per day fine is applied in case of violation. All guests have unlimited access to mineral water swimming pool and sauna area, as well as the gym. Guests also can participate in daily 15 minute morning exercises in the gym with a trainer, as well as a 30 minute morning exercise with a trainer in the swimming pool. 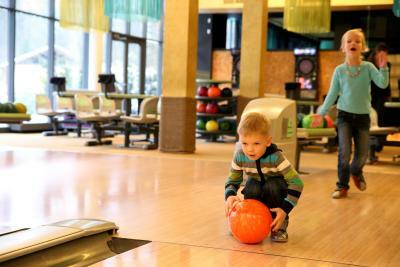 Access to a pool and sauna complex with children under 14 is available from 10:00 until 20:00. Please note that the owner of the bank card, provided in the credit card authorisation form, must arrive at the hotel and submit a personal identification document (passport/personal identity card), and the same bank card in order to avoid its unauthorised use. Only bad thing was the floor carpet instead of wood in the room. They should put signs/messages to guests in the pool area like: Do not reserve chairs with your towels. There were 13-15 chairs in total in the pool area, all of them were empty, but you was not unable to use them since they were "reserved" with towels. It's simply lack of etiquette of the other guests, they are trying to sit in two places simultaneously. In overall, it was an awesome experience. The staff was extremely helpful. Looks like the hotel has clever and well followed procedures. 5 start service, sometimes even one step ahead! We were amazed starting 15 minute of our stay, it was my wife birthday that day and they brought us the awesome surprise which made our day. Nobody told them about the birthday, it was an awesome example of great management. My wife even thought that this was arranged by me, sad but it's not :). Dinner in the restaurant was good and the breakfast had an amazing variety of everything. Kids in the smallish pool felt crowded. First of all I didnt like the location, in the swimming pool and restaurant we didnt like the wiew outside. And we think the swimming pool and jacuzzi is to small for 900 rooms. And there was only 2 saunas 😡. No swimming pool for kids, so not good for familys with small kids. Rooms good and clean. I like the bar food and the massage. There were puddles of water around the pool on the floor and very slippery. It didn’t feel safe. There was no milk for the tea in rooms. Quitness and calmness in the Hotel, relaxing athmosphere. Plenty of choices for breakfast. Dressing gown and towels provided for SPA. Tv was not working properly, swimming pool water temperature was lower than stated on the board ( not 29). There was nothing that I could not like. 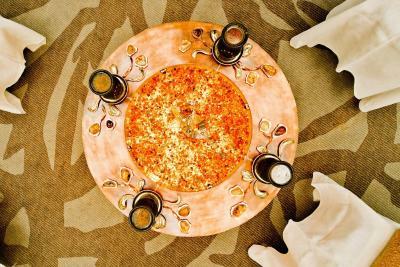 Comfort, quietness, service, spa procedures, food, location. Wonderful! 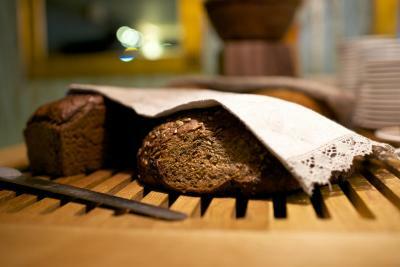 As with all businesses in Lithuania, prices have increased dramatically since the Euro was introduced. It's a shame.